Ex display, second hand, used Tiny Houses and Self Build Cabins for sale. 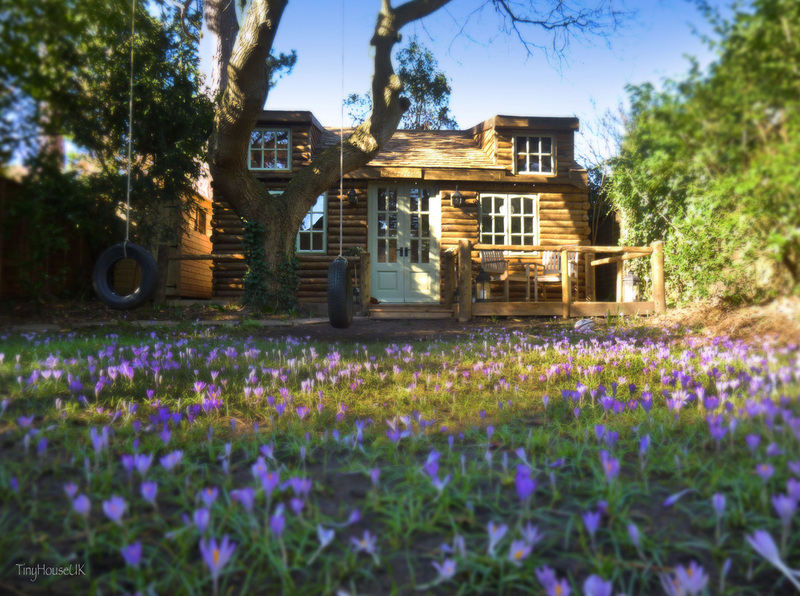 From time to time we have Tiny House's for sale for various reasons. Some may be ex display and are reduced to clear and some houses that have been bought from us and are now no longer needed. 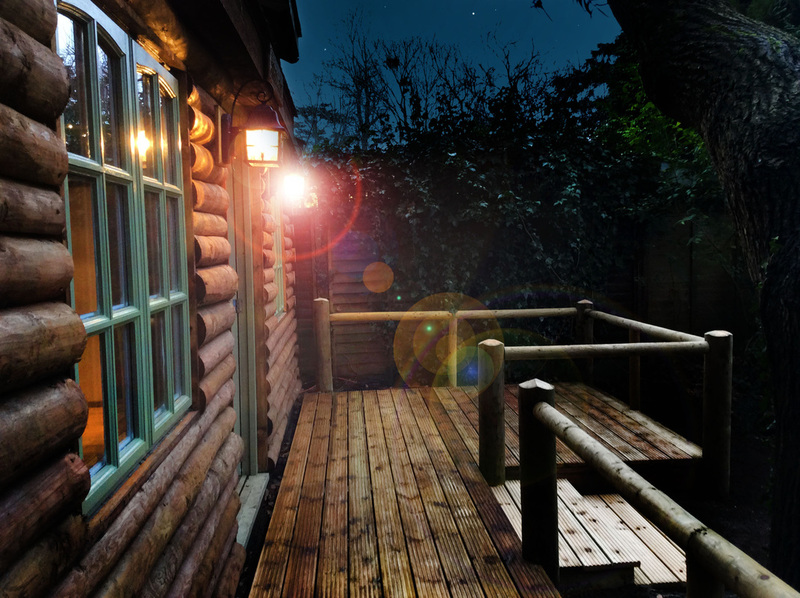 Thousands of people have raved about my cabin designs and were disappointed that I cant travel to their location to build one for them. 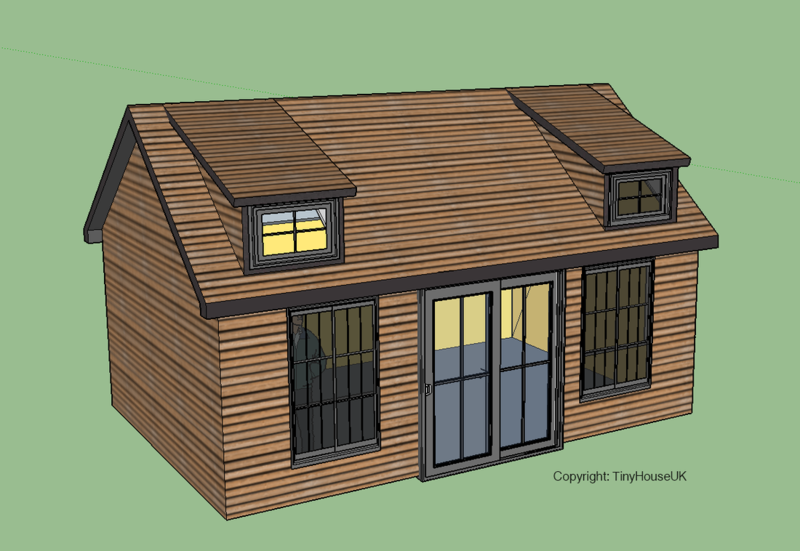 However, I have now designed some of the most popular Garden Cabins into kit form. I have tried to make them as user friendly as possible so even a Journalist with no building knowledge can build one (See below). They are fully customisable, starting with a basic shell. 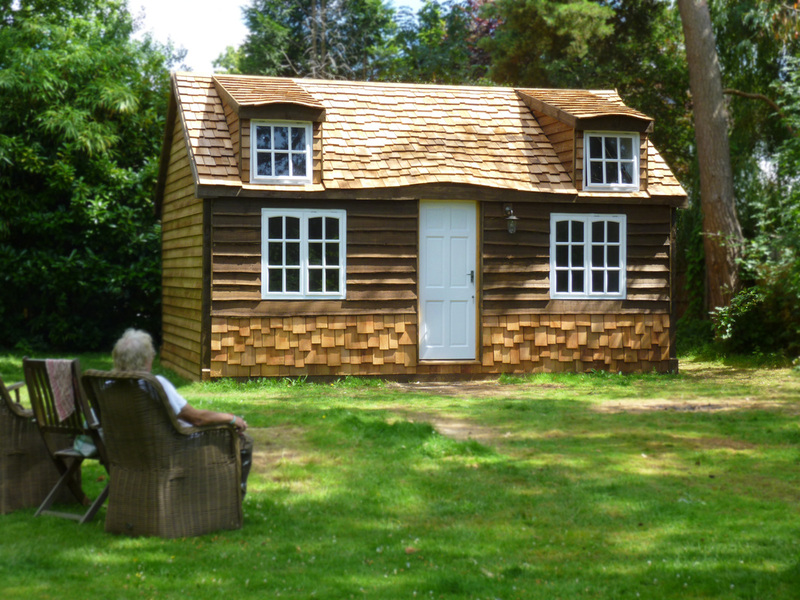 You can add other goodies like dormer windows, porches, bi fold doors etc. 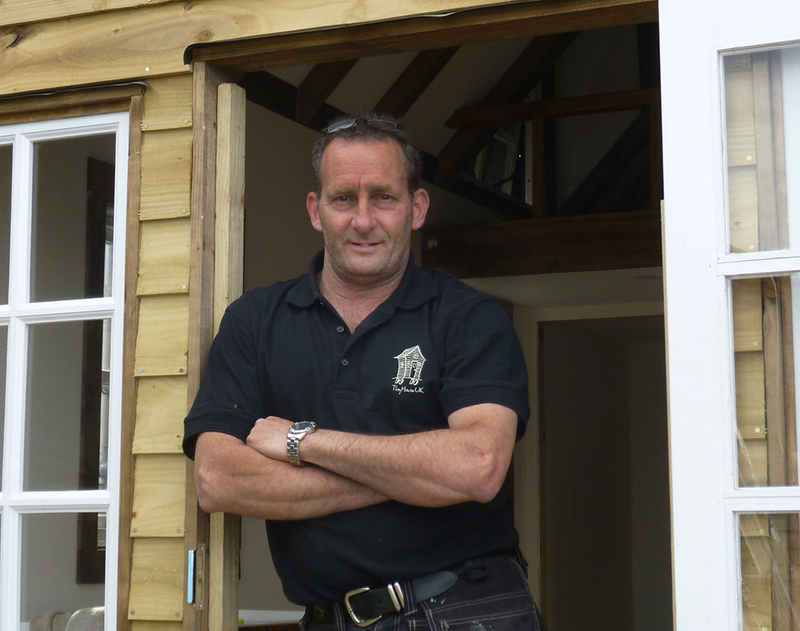 Get more information about my Self Build Kits. 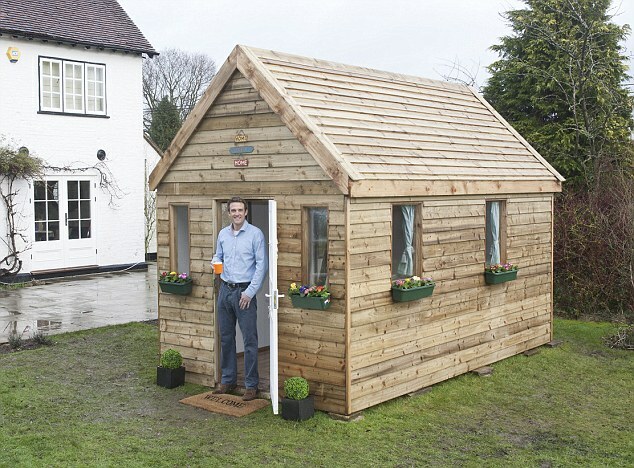 For Sale: Self Build Tiny House Kit as seen in "The Daily Mail"
Excludes chassis but one can be arranged at extra cost. Approx size: 15ft x 7ft. All timbers included as shown. 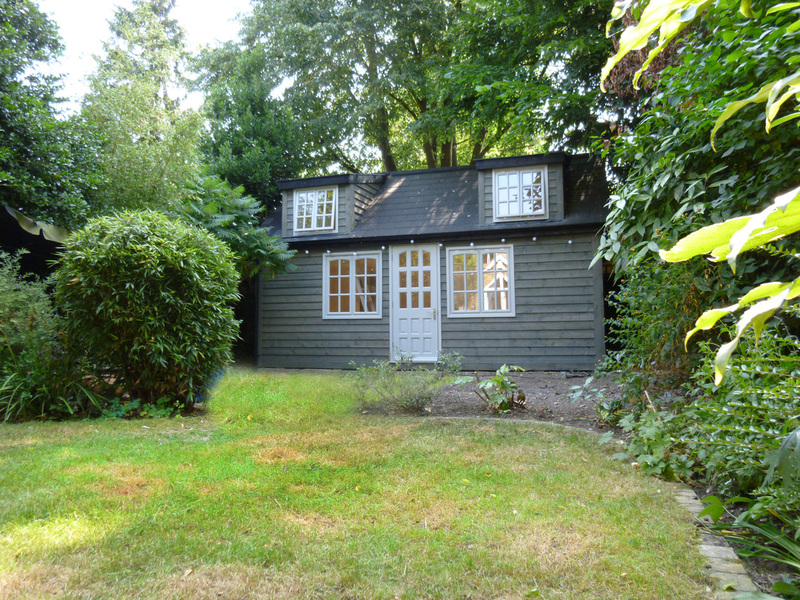 Also includes, one dormer window, porch overhang, steps from behind bed are with extended bed. WC cubicle stud work but excludes WC door. 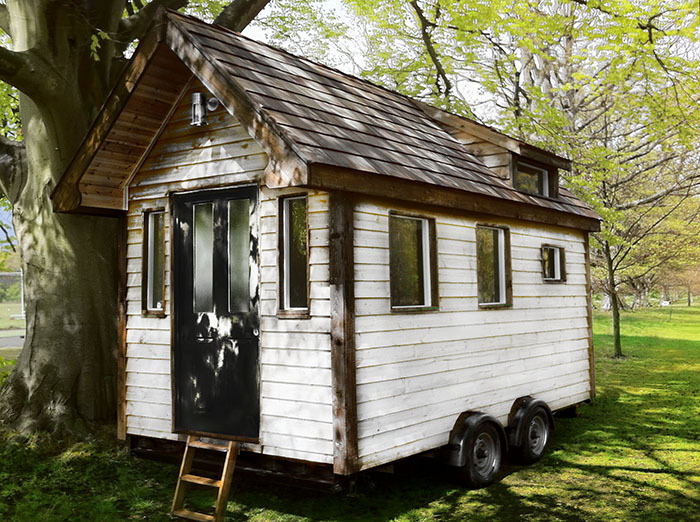 For Sale: Part built Tiny House project. 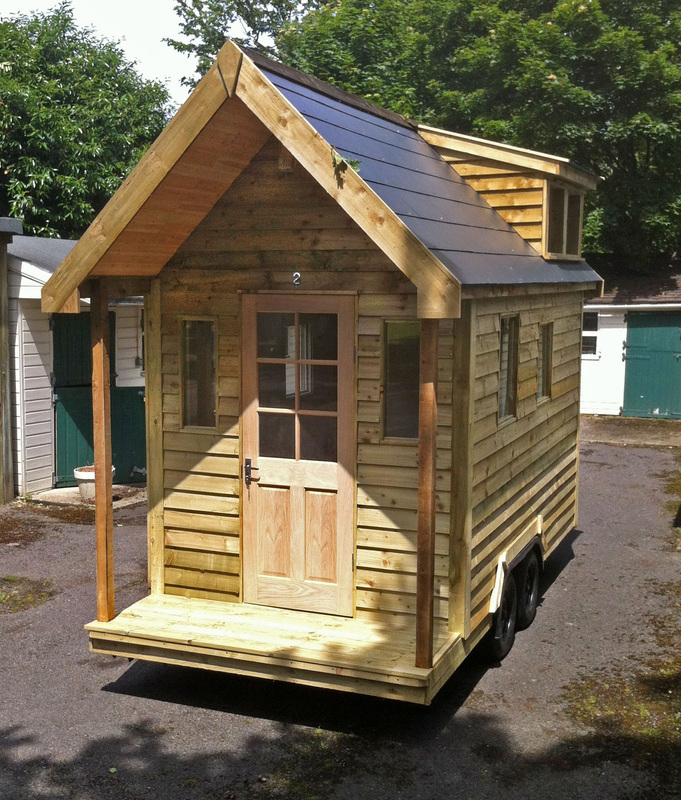 Built on a 16ft chassis, Wider than normal, Upgraded insulation, one dormer window, shower room, windows, Exterior will be cladded and roof on. 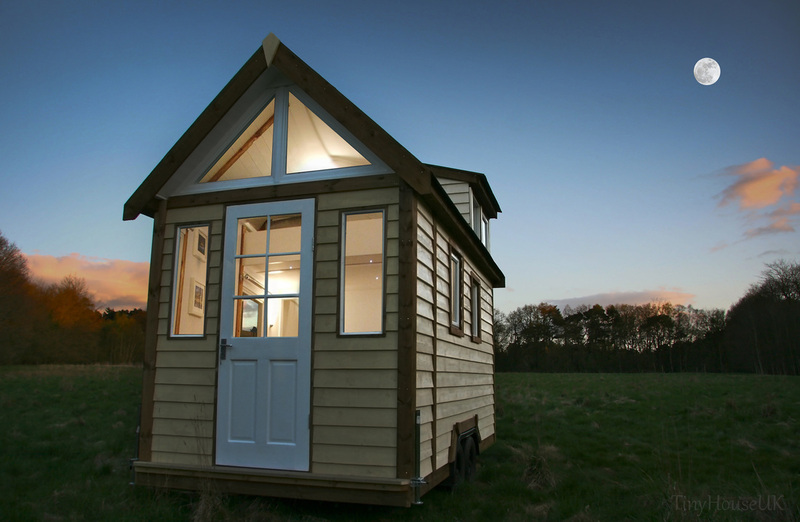 Tiny House on Wheels as seen at "Grand Designs Live" and "The One Show"
Our latest Tiny House will be For Sale at Grand Designs Live. Built on a 14 foot chassis with a veranda / decking area and porch. 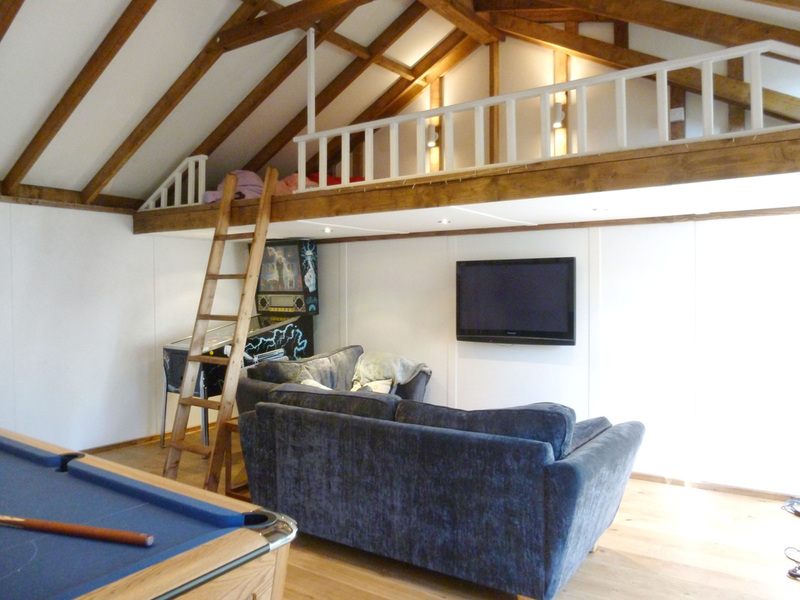 Large dormer window with full size double bed area . TV/DVD player, Plasma wall fire, Triton electric shower, laminate flooring. Copyright © 2012 Mark Burton. All rights reserved. 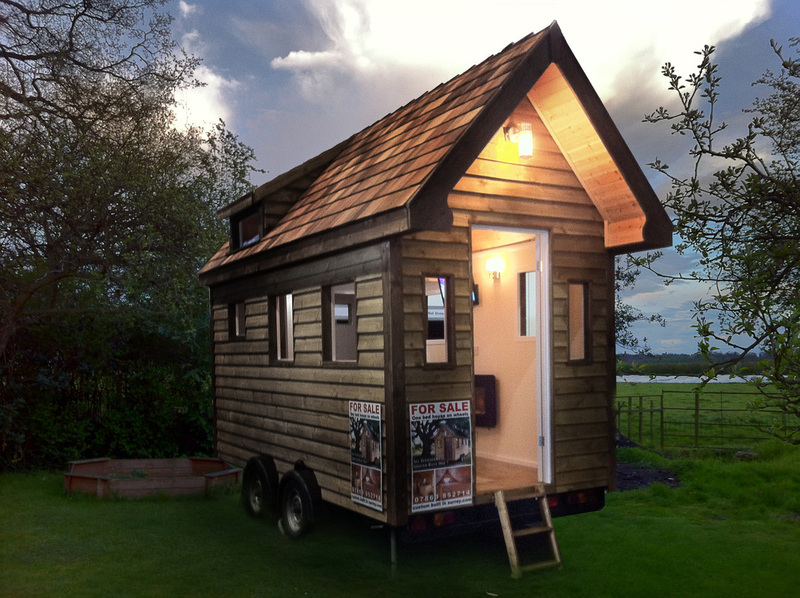 This House on Wheels is built on a 14ft chassis. Inside size is 4.2 m x 1.95 m.
TV/DVD player, Plasma wall fire, Microwave, Triton electric shower, laminate flooring. 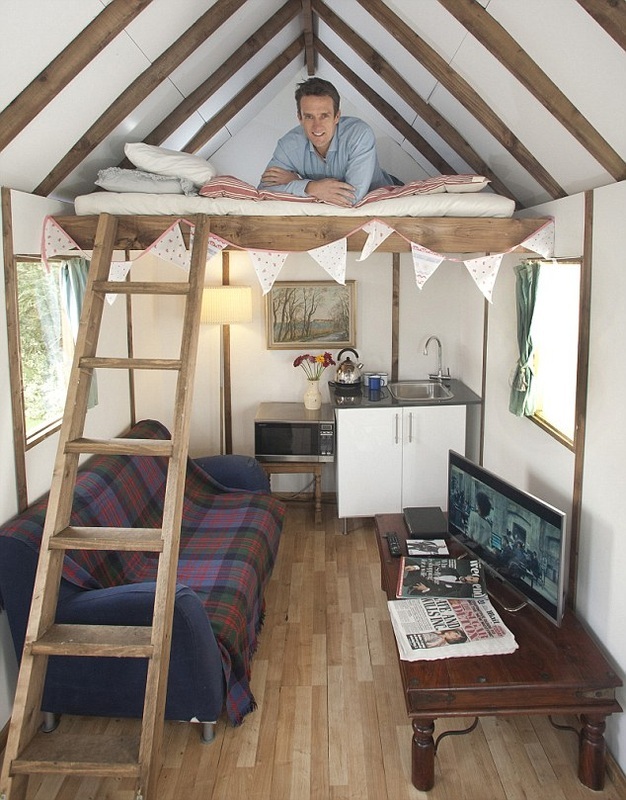 Tiny House on Wheels. Built as an office on a 14ft chassis. Inside size is 4.5 m x 2.10 m.
Wall mounted TV, DVD player, Plasma effect wall fire, Microwave, electric shower, laminate flooring, hardwood security door.